In recent months, viral videos and the hashtag #LivingWhileBlack have dominated social media platforms, depicting moments where police have been called to respond to innocent and innocuous activities. Akil Carter was handcuffed and held in the cop car. Amid a police stop on Sunday, Paulette Barr realized that she wouldn't be able to protect her grandson forever. She was driving home from church in downtown Milwaukee with a friend in the passenger seat - another grandmother in her 60s - and her 18-year-old grandson Akil Carter in the back. Barr, who is white, was en route to drop off the teenager, who is black, at his health-care industry job. As soon as the trio crossed into the neighboring county, Wauwatosa Police Officer Pat Kaine, promptly joined by two additional squad cars, tailed the car and pulled them over. Kaine leapt out of his cruiser, gun drawn, attorney Joy Bertrand, who is representing Barr and Carter, told The Washington Post. "Get out with your hands up. Get down on your knees," Kaine, who was recorded by the dashboard camera, ordered Carter from the back seat. "Don't move, do you understand?" A compliant Carter said that he was scared and confused, according to Bertrand. "Part of him also felt like 'here we go.' Almost like he was going to be subjected to this kind of singling out at some point," she said. Although the officer can be heard in the video saying this was a "big misunderstanding," Barr aptly retorted that, of course, "two old white ladies in a car with a black kid makes him a villain." Kaine had been responding to a tip, Capt. Brian Zalewski, Wauwatosa Police Department's public information officer, said in a statement to The Post. The officer was "flagged down by an African American male and African American female who indicated a robbery either was occurring or had just occurred." The suspects, he said, were "two black males in the back seat." The tipsters, who left the vicinity, had yet to be located for a formal statement. Carter was handcuffed and held in the cop car. Barr cleared up any remaining controversy within 10 minutes. The Department has stood behind the officers' actions, alleging Carter was detained on "reasonable suspicion" and that "officers removed their handguns from their holsters based on the original information of a possible violent crime (robbery) in progress, but kept their weapons pointed in a safe direction during the stop," Zalewski said. 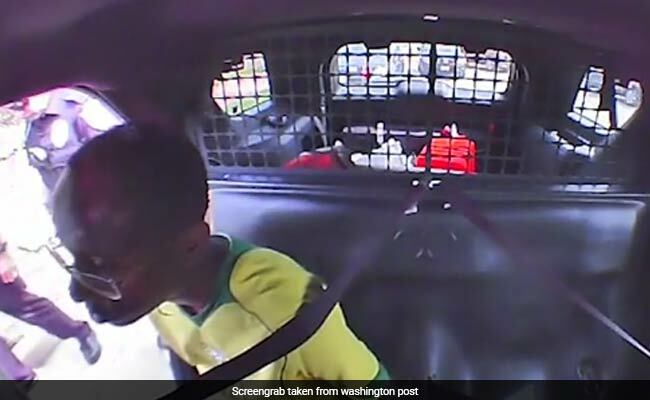 In recent months, viral videos and the hashtag #LivingWhileBlack have dominated social media platforms, depicting moments where police have been called to respond to innocent and innocuous activities, like riding in a car. In May, several black sorority sisters were interrogated by state troopers about suspiciously collecting trash on a Pennsylvania highway. The same month, Yale campus police responded to a report about a black woman sleeping in the Ivy League college common room. The sleeper, it turned out, was an enrolled graduate student. More recently, a perturbed woman phoned the police about a suspicious sighting: a white man holding a 9-year-old's hand inside a Tampa Walmart. The reporter thought that she was bearing witness to a kidnapping in progress, according to the Tampa Bay Times. The "perpetrator" turned out to be local Television anchorman Frank Robertson, an active member of the Big Brothers Big Sisters program. Tampa police questioned Robertson, later confirming his story with the boy's grandmother. "I was given a vivid and personal reminder of how serious the racial divide is in our country," Robertson said in a Facebook post Saturday evening. "This greatly saddens me! My little brother remains my little brother. He needs me and I need him!" Like Barr, many feel Sunday's story is yet another discriminatory encounter to add to the laundry list. Carter's family has not decided on next steps, according to Bertrand. She requested the police department keep all electronic and paper records, including dashcam footage. "[The family's] intention with all of this is that profiling has to stop. It may take a stop involving two white grannies to pay attention. It's sad it has to come to that and they're willing to bring light to the issue," Bertrand told The Post. Milwaukee, she said, is like many urban cities with a lot of tension and distress from citizens on both sides. "I see them hopeful that this started the dialogue, even if they have to take it further with litigation."